一直都冇玩過PC鏡, 呢支Schneider PC SUPER ANGULON 28mm f2.8好唔好? 不過相機舖好似都冇貨, 香港有冇代理? 幾錢? Never use this lens before but understand that they sell various mount separately so should be user changeable. I believe should have the follow mounts: Leica, Contax, Nikon, Canon, M42. Pentax and Milnota not sure. Maybe also difficult to find the specific hood and filter. 跟PC-Distagon T* 35mm F2.8比, 邊個贏? OMG!!! wakaka..modify it to 6x6?? Well, foa, just becasue its MIG or its priced so does not mean this is always a quality insurance. 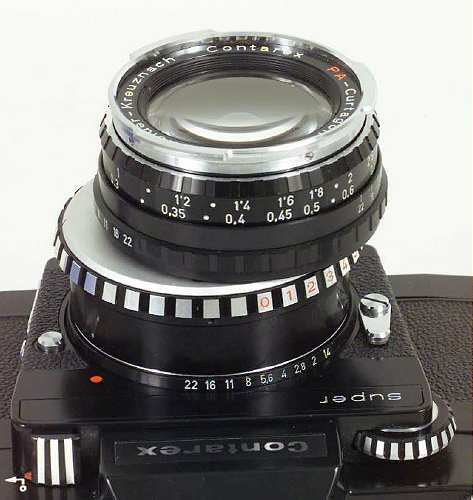 This lens is VERY very dated design which first appear in mid 60's, and of course without the benefit of floating element nor ED Galss or similar. It was priced so simply because its about the only lens available and with a big enough image circle for the job .. I had not personally much in depth experience but from what I heard so far, user tend to think of this as OVER-PRICED and OVER-HYPED. Most agree there are far better one around these days ! !